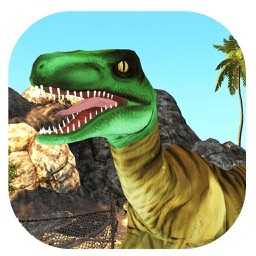 In the world of dinosaur hunting, hunt dinosaurs of your own choice in a Jurassic environment. Hunting Season is on for the Expert Sniper Shooters. 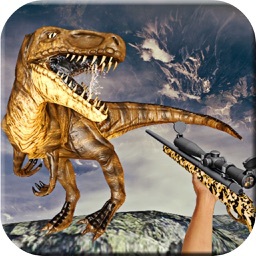 Experience the thrill of real Dinosaur Hunting on your smartphone. 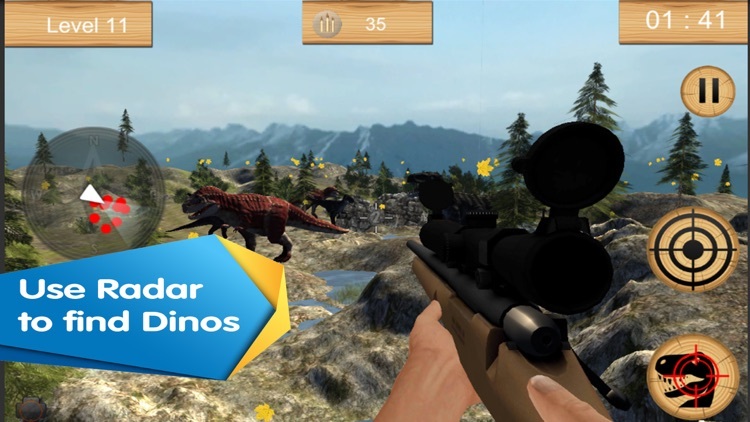 Enjoy the Actual thrill of dino chases and deadly dino attacks and continuous Sniper shooting. 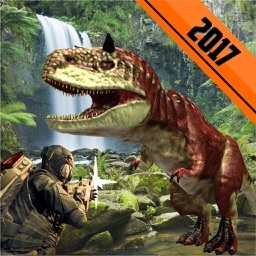 Carnivores Jurassic Hunt is an efficient quality lifelike hunting simulation where the players track down a variety of dinosaurs in a Dark Forest. 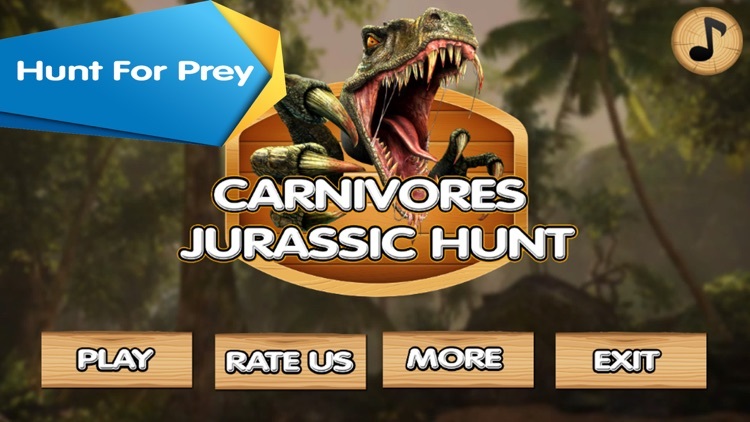 Become an ultimate dinosaur hunter, search quickly and catch your prey. Have fun with awesome gameplay with attacking animations and deadly sounds. Carnivores Jurassic Hunt is an extreme survival game with 15 exciting levels of increasing difficulty at each level. 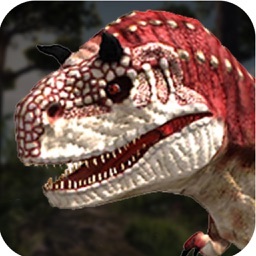 Carnivores Jurassic Hunt offers two exciting game modes for the players. In the Attack mode, big dinosaurs located in the different territory will attack you till your death. While in Hunt Mode Search your prey and shoot them. Challenge yourself against the time in the multiple waves of Dinos in the Hunt Mode. Make high score by shooting all Dinos in the waves. 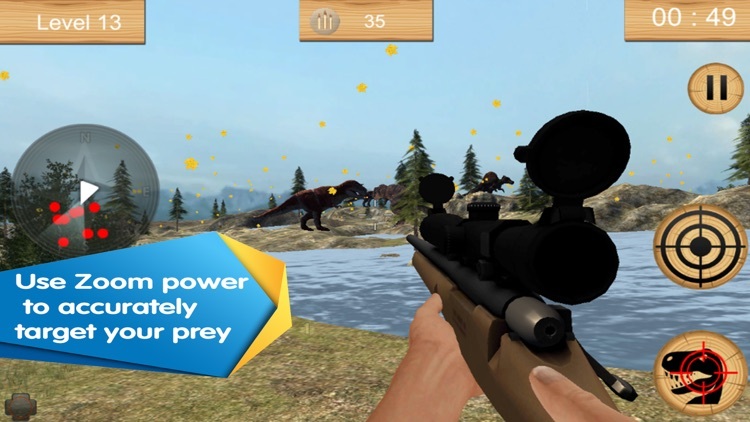 You are a sniper so be perfect in your skills to point and shoot down the dinosaurs by shooting perfectly on the head. 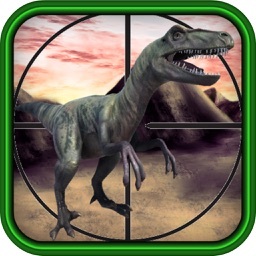 In Carnivore Jurassic Hunt You’ll need a powerful arsenal and an expert shooter strategy to kill these dinosaurs! 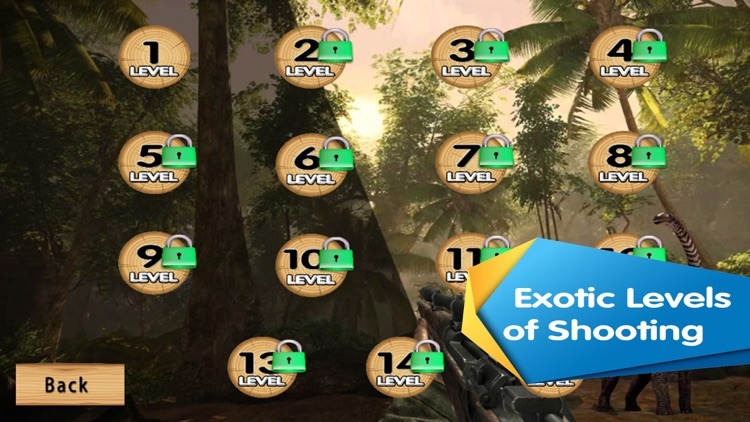 - Excellent gameplay with attacking animations and deadly sounds effects.